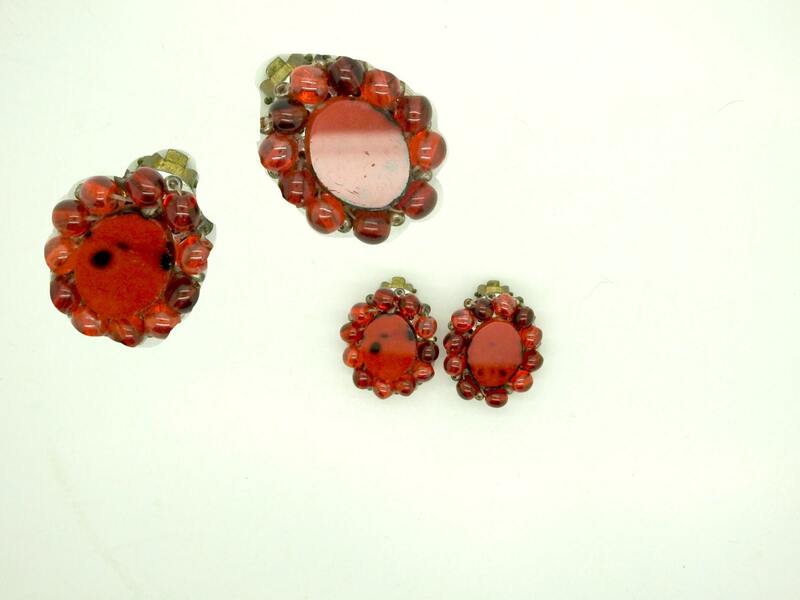 These clip on earrings vintage make a fresh and feminine statement. 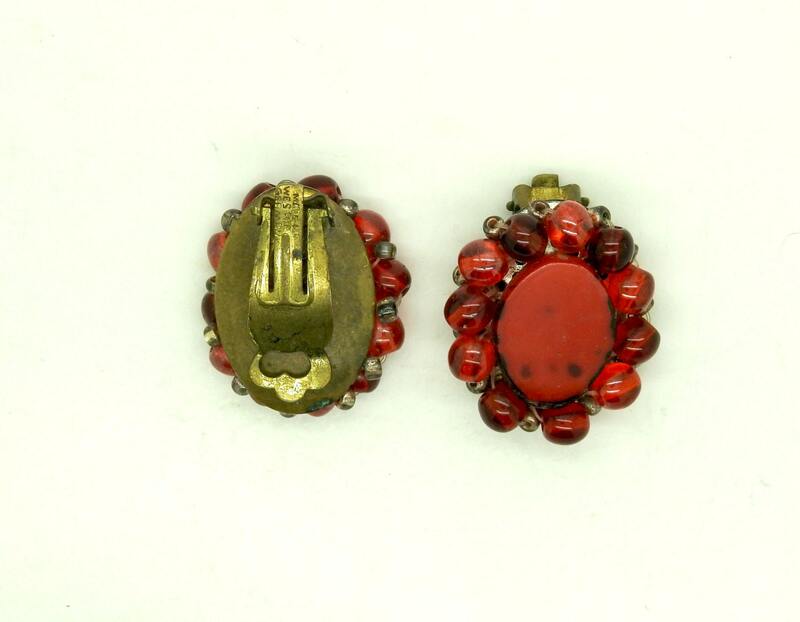 Get ready for the holiday season and buy these clip on earrings for women! • Real vintage, origin: West Germany. 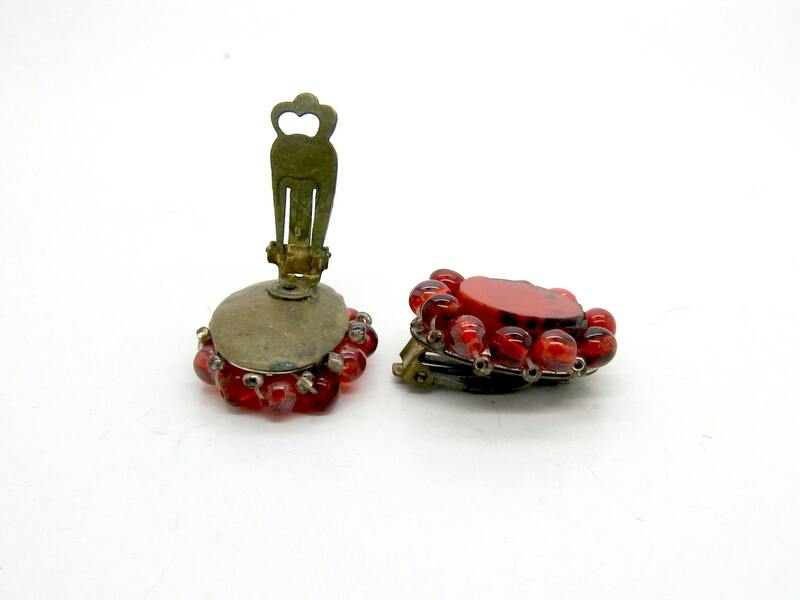 • Red button surrounded by cute tiny red glass beads. • Style: clip-on earrings, Clips earrings, Vintage earrings. ♥ Measurement: 7/8" x 1" ~ 2x3 cm approx. 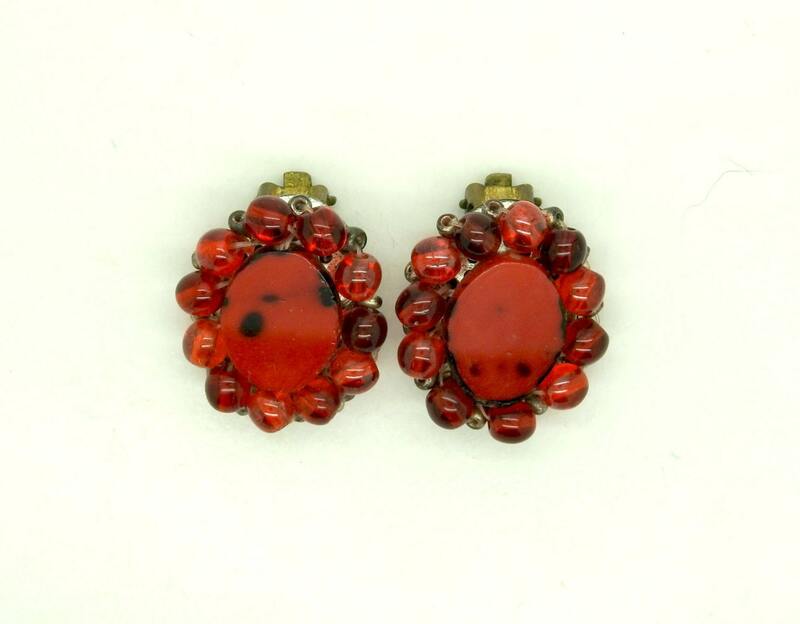 Thank you for exploring my little vintage clothing and jewelry boutique, Treat yourself and buy this stylish red clip-on earrings.